HUAWEI is getting more popular year by year and right now, holds a large part of smartphones market. Like any other Android phone, a HUAWEI mobile can be simlocked, blacklisted, under contract, protected by warranty, google locked or even a copycat. With a HUAWEI IMEI Check Service, you will find out everything about any HUAWEI model in the world. Huawei Technologies Co., Ltd. is a Chinese company and right now it is the second largest telecommunications equipment manufacturer in the world (after Samsung). 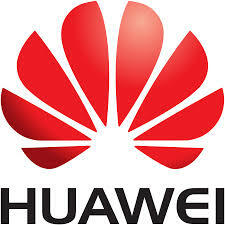 HUAWEI products are sold in 170 countries and it currently serves 45 of the world’s 50 biggest Wireless Networks. Despite the fact that HUAWEI smartphones are way cheaper in comparison to Samsung or Apple, you can find countless HUAWEI used mobiles in online markets like Amazon, eBay, and Craigslist at even lower prices. But how can you be sure that you will get the HUAWEI model that you paid for? Do you know if you will be able to use your SIM card? What happens if the used HUAWEI phone is Network Locked? Are you sure that it is not protected by Warranty or Google Lock? How can you SIM unlock it? 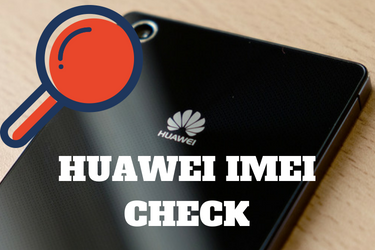 All the questions above can be answered with a HUAWEI IMEI Checker. This service is no other than the FULL IMEI Check that uses the IMEI number (International Mobile Equipment Identity) of a HUAWEI device and gets you a report with all the info you need from GSMA Device Database. It shows if the phone is SIM Locked or not. You can use NO SIM card with a blacklisted Android phone inside the country it was blacklisted. A phone gets blacklisted when it is reported as lost or stolen to a Wireless Network by its original owner, when there are pending contract bills, when the phone is involved in illegal activities and in case, the original owner asks for a replacement through Warranty or Insurance Plan. When a device is not blacklisted we referred to it as CLEAN. 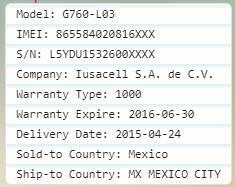 It shows if the HUAWEI cell phone remains under contract with the previous owner. If it does then there is the danger of getting barred (aka blacklisted) due to past due balances. Google Lock is similar to iPhone’s iCloud Activation Lock. You will need original owner’s Google Account and password to activate your phone. Before you buy a refurbished HUAWEI smartphone. No one can scam you in buying a locked or problematic mobile anymore. First of all, the HUAWEI IMEI Check report will show you if your phone is eligible for SIM unlocking. Of course, you know which Carrier locked your phone and you can contact them in order to use their SIM deactivation services. Finally, if there are issues you will know exactly with what you will have to deal with. Where can I find a HUAWEI IMEI Check Tool? My favorite IMEI Check provider is UnlockSpector because they are a verified IMEI check company with authorized access to IMEI Databases and moreover they can help you unlock your HUAWEI if you are not sure how or if you are too busy dealing with the Wireless Network or a third-party Android Unlock company. You can also find a few free IMEI Check services but unfortunately, none of them can provide you with original data because simply they don’t have access to IMEI DB. Did you find this article useful? Leave a comment below and tell us about the HUAWEI IMEI Check service you used. Your thoughts make us better. Until next time, take care!